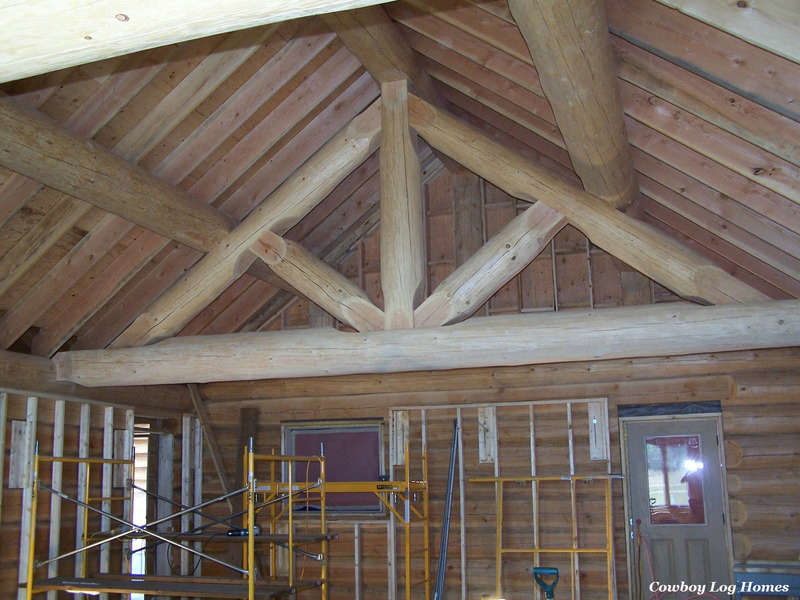 Now we begin the finish work on the interior of our custom log home. The first phase is to Osbourne brush and stain all the logs on the interior of the home (Please Visit the Log Home Staining Page for more info). 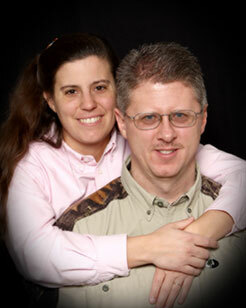 Once this is complete then we proceed with the rough-in of plumbing, electric, and the heating and cooling system. The interior framing was completed on days 12 and 13 of the dry-in phase of construction. During the interior framing one piece tub/shower unit for the hall bathroom and the 5 foot wide shower for the master bath were set into place. Here we see the interior of the great room. The roof is all framed in, the gable end is framed and covered on the exterior, and the interior framing is installed for the kitchen. Moving back to the bathrooms, we can see the rough in of the electric, plumbing, and heating for the master bedroom and master bath areas. The electric panel is visible in the right background of the photo. For the cathedral ceiling in the great room we first complete the rough-in of the recessed lighting and other ceiling lights. Here we see three can lights mounted and wired. 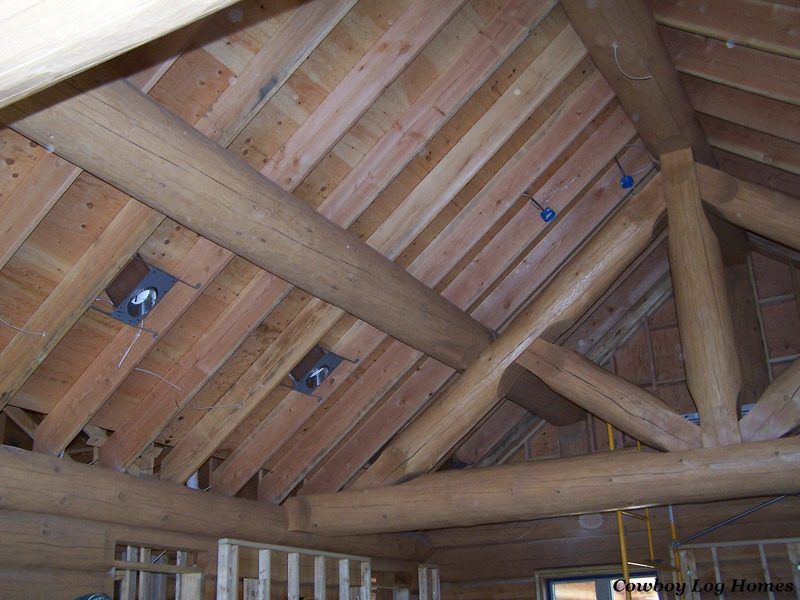 In this view of the great room ceiling we see more can lights. Also the boxes for the pendent lighting which will hang over the island have been installed. On the ridge beam at the top of the photo we see a wire extending down for one of the ceiling fans. Fire alarms were also hard wired into the great room ceiling. 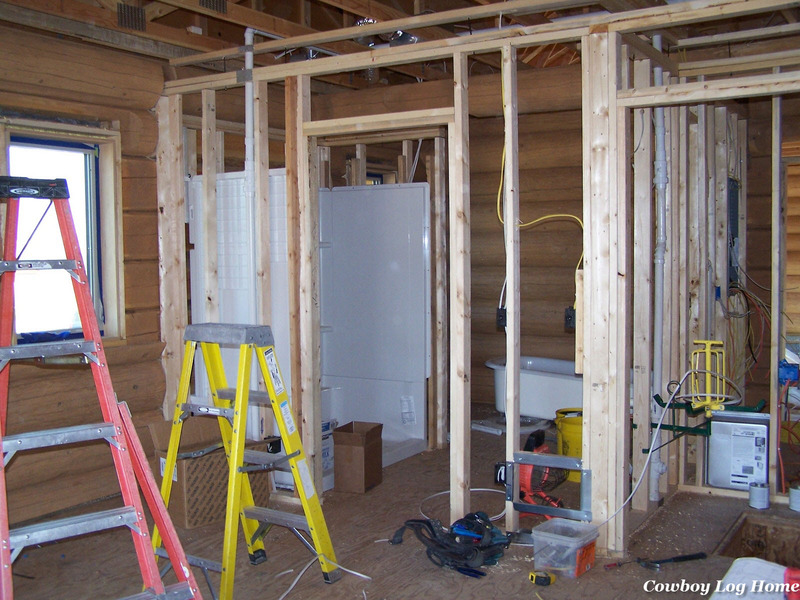 Moving into the laundry room area we see the electric pan is being roughed-in. The plumbing pipes and claw foot tub are also visible. 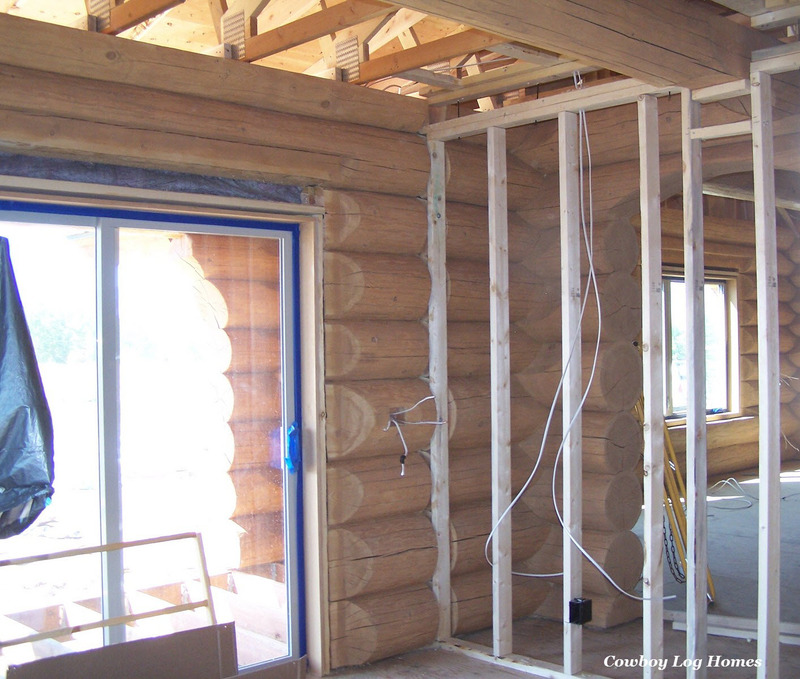 With a log home all of the plumbing has to have special “slip joints” to prevent the shrinkage and compression of the logs from damaging the pipes. That fitting is located at the top of the vertical white pipe on the left-of-center of the photo. 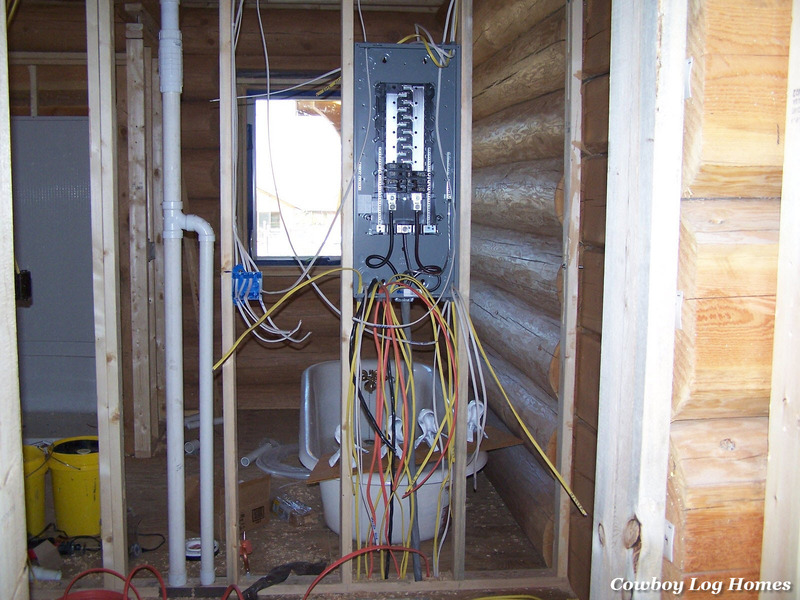 Here in the front bedroom the electric wires are pulled through the precut electric box hole in the fourth log from the bottom. 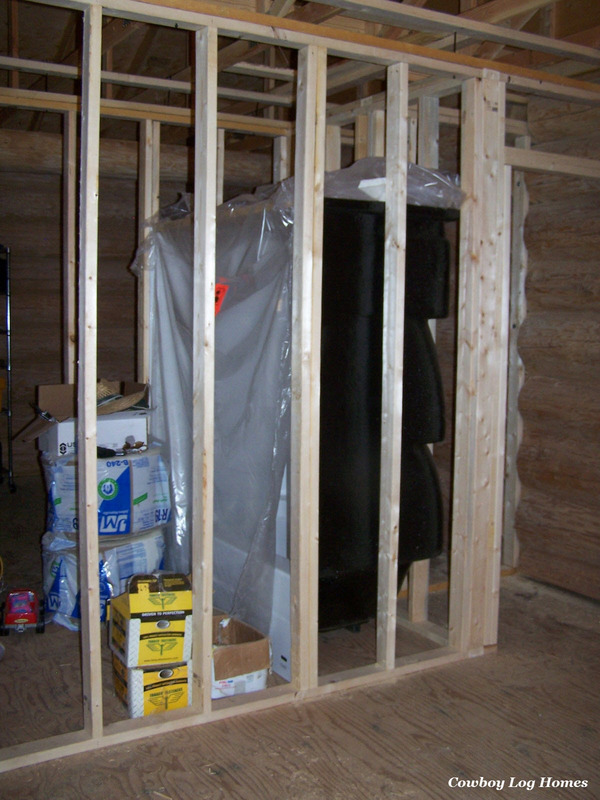 Also the wiring in the framed wall extends through the top of the framed wall and the shrinkage channel. 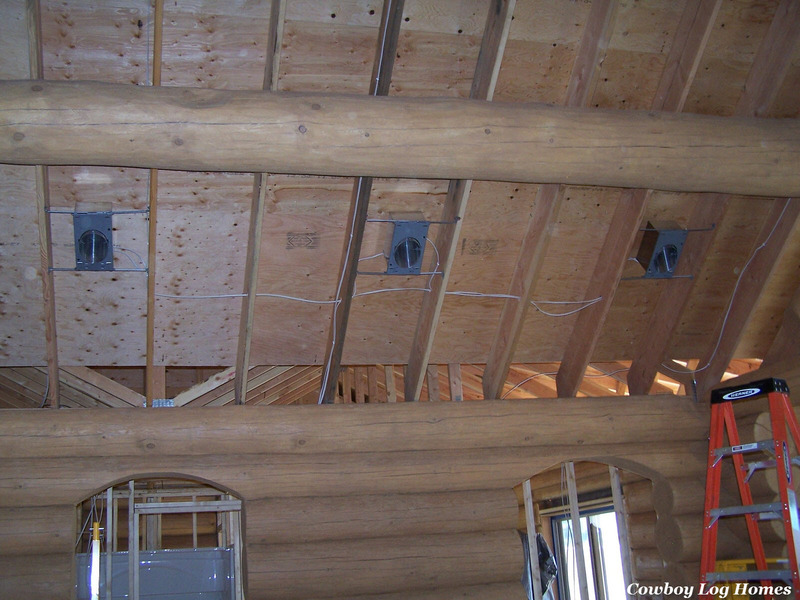 Once the staining of the interior and rough-in of electric, plumbing, and heating is completed we are ready to insulate the ceilings and close in the ceilings with 1×6 pine tongue and groove and the framed walls with sheetrock. At this point we are up to mid September with the build of our custom log home.